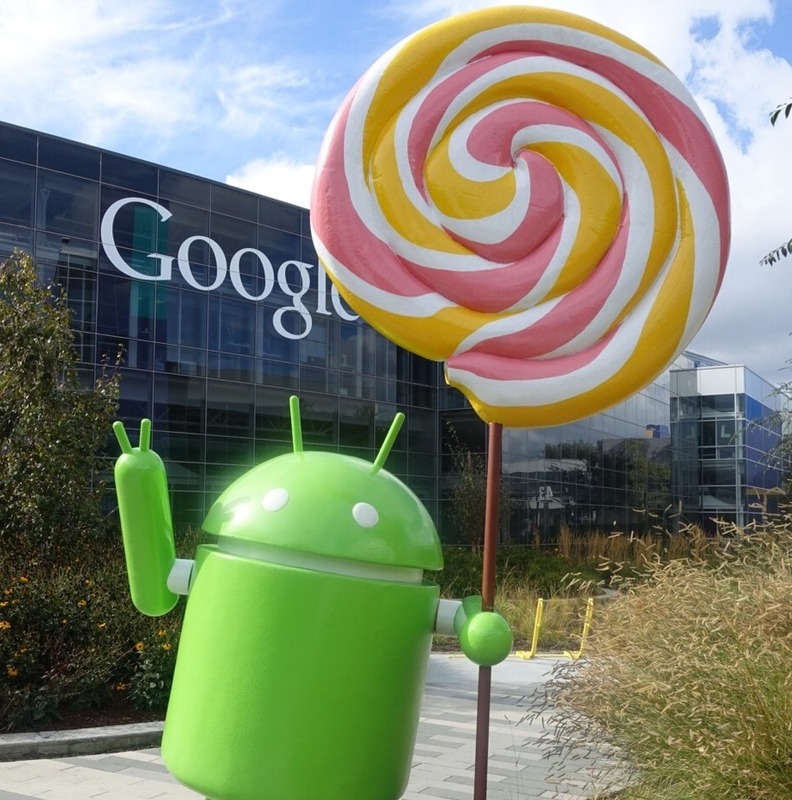 Android 5.0.1 began rolling out to devices and AOSP just a few days ago, and now we've got a changelog from Al Sutton to give us some insight into what has changed. This is the first version bump since the Android 5.0 landed, putting an end to the initial stage of build releases, which are often used to fix hardware specific issues and catastrophic bugs. There are still some fixes for individual devices, but some of the bigger bugs have been squashed, as well. So far, build LRX22C is slated for the 2013 Nexus 7 (flo), Nexus 9 (volantis), and Nexus 10 (manta). Basically, this update was meant for all of the Wi-Fi devices, sans the 2012 Nexus 7. There also happens to be a new kernel for the Nexus 4 (mako) in the changelog, so we may see it joining the list shortly. The rest of the Nexus family will likely receive 5.0.1 fairly soon, and probably with a different build number. Device-specific changes were limited to new kernels for the Nexus 4 (f37d460) and 2013 Nexus 7 (f794f52), and a pretty important fix for a bug that was interfering with video playback on the N7 (1ae9de5). The changelog also points to some other very important changes. There is a fix for a severe issue that could prevent a device from booting after enabling ADB debugging (8de29d6), and another that should help to prevent factory resets resulting from accidental stray touch input while the lock screen is showing (c586786). A less critical change was also made to the handshake procedure with certain Wi-Fi access points (1d13911), and one that fixes a bug where proxy servers may not be persisted across reboots (93edcc1). There are a total of 21 commits in this changelog, making this a relatively small update. 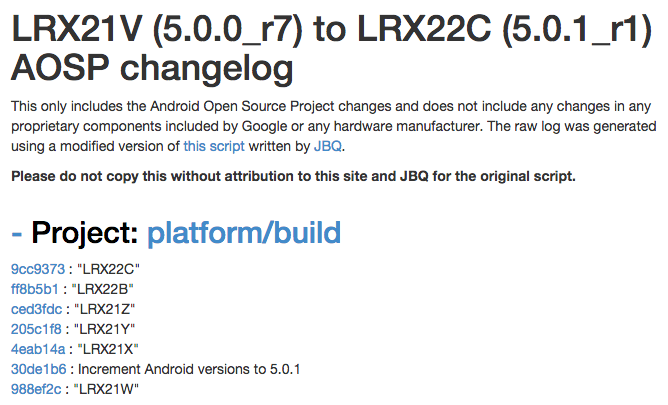 Keep in mind, 5.0.1 also includes all of the changes released in the individual build versions 5.0.0_r2 through 5.0.0_r7. If you'd like to check out the rest, hit the link below.